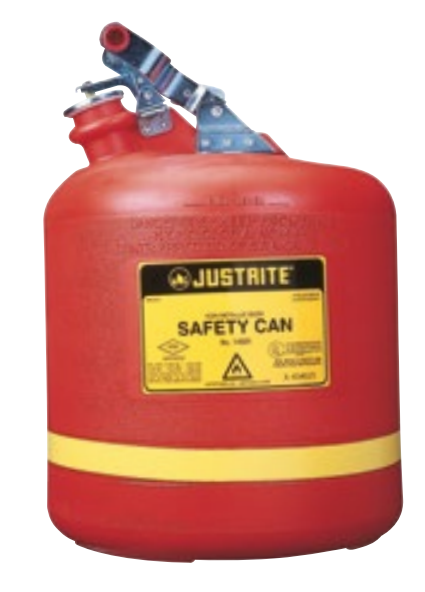 Designed with a durable one-piece body construction, these safety cans stand up to tough acids and heat. Consistent colour throughout the HDPE reduces visible scratches and provides colour-resistance to reduce chemical leaching, making them suitable for most high purity liquids. The containers resist dents, punctures, and chips to withstand abusive environments. 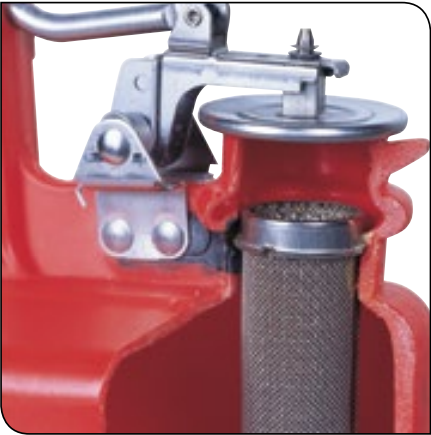 The self-closing cap, pressure relief mechanism and flame arrester work together to prevent ignition sources from entering without restricting liquid flow in or out of the can. All cans feature stainless steel hardware and flame arrester (FM-approved). A patented conductive current-carrying carbon insert is embedded into the rib of containers, completing a ground path between the cover assembly and the flame arrester. When used with a grounding strip, this provides proper grounding and prevents the creation of a static arc during filling or pouring.